The concomitant use of low-dose aspirin for cardioprotection and non-steroidal anti-inflammatory agents for pain relief is prevalent, particularly in the elderly for whom cardiovascular disease and pain are common co-morbidities. Non-selective non-steroidal anti-inflammatory drugs (NSAIDs) are known to interfere with the antiplatelet effect of aspirin through competitive binding with COX-1. 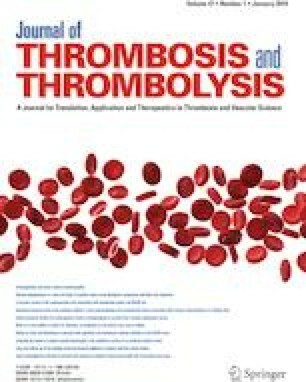 While the clinical significance of this interference is still unclear, this review sought to assess the body of literature which has evaluated the potential attenuation of the anti-platelet effect of aspirin when dosed concomitantly with an NSAID. This review supports that the pharmacodynamic interaction between aspirin and non-selective NSAIDs occurs, but finds that the interaction varies amongst agents, and is highly dependent on numerous factors including: dose timing, dose of aspirin, and dose of the NSAID in question. Recent findings suggest that patient factors, such as body weight may also be indicators of aspirin’s cardiovascular effectiveness. Ultimately, the clinical decision making for concomitant NSAID and low-dose aspirin regimens remains at the patient level. Dr. Gurbel reports receiving grants from the National Institutes of Health, Bayer, Medicure, Instrumentation labs, USWorldMeds, Haemonetics, Amgen, Idorsia, Ionis, Janssen, and Merck; receiving honoraria and payment for lectures, consultations including service on speakers’ bureaus from Bayer, Janssen, Merck, UptoDate, and Medicure; and holding patents in the area of personalized antiplatelet therapy and interventional cardiology. Dr. Tantry reports receiving honoraria from Medicure, AstraZeneca and Upto Date. Dr. Weisman is a consultant to Bayer.